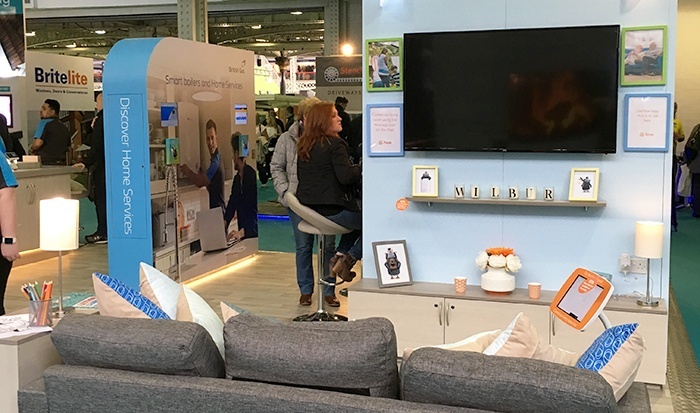 We've kicked off another year of consumer events with British Gas at the Ideal Home Show Olympia with a refreshed stand focusing on the benefits of a smart, connected home. Hive plays an ever prominent part in British Gas’ offering as an innovative and service-led energy provider. The constant evolution of our events reflects our ongoing evaluation of the experiences we offer our client’s audience. This year, smart meters were a big focus for British Gas as they lead the way in rolling out the governmental initiative that vows, by 2020, to offer all UK homes this clever device so consumers can actively keep on top of their energy usage. As an agency, we play a crucial role in simplifying complex communications on behalf of our cllients. We worked diligently to get the messaging on our stands just right. 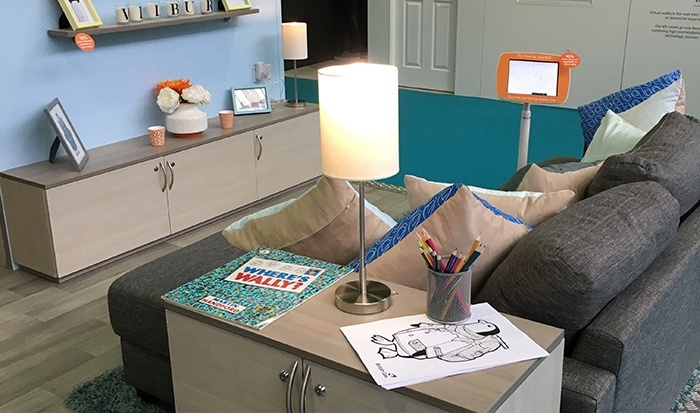 The experiential agenda trickles through all areas of the stand - there's lots of active languge like ‘Press here’ ‘Touch this’ and ‘Try for yourself’. Energy is an area of generally low saliency, which made it even more challenging for us to provide a truly memorable consumer experiences. The arrival of Wilbur – the undeniably cute cuddly penguin mascot – was a figure we were keen to leverage. 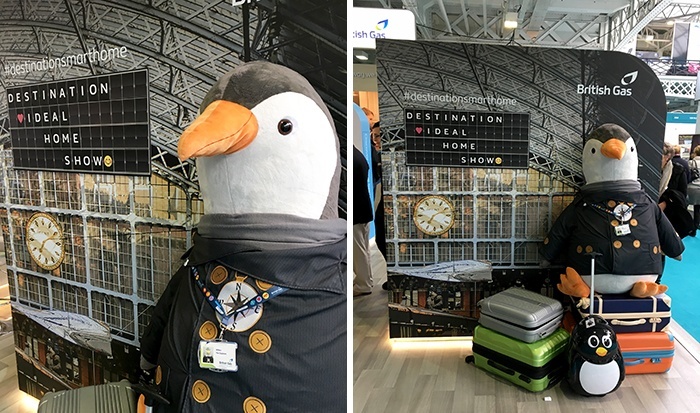 The new photo wall is a 3D conversion of the newly launched ad campaign, which features Wilbur setting off on a mission to make homes in the UK smarter starting at St Pancras. 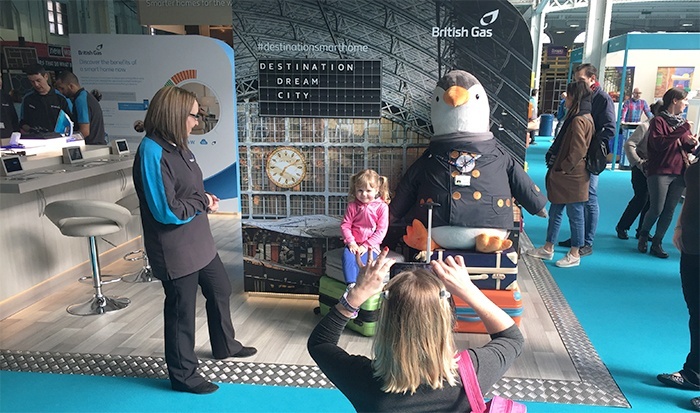 The value of organic user generated content (UGC) for British Gas is a key consideration for us in an ever socially captured and shared world. Small incentivisation mechanics provide value for both brand and customer. Being in the fortunate position to work with both British Gas and Hive provided the insight required to design one truly holistic event space. However, it's often easy to overlook the perceived complexity of connected products to an audience who don’t live and breathe them as we do. The solution? Get your 60-year-old, technophobic parents to mystery shop your event. At Because, it’s a family affair! Mystery shopping plays an crucial role in producing continually robust events which deliver for all audiences. To find out more about the Ideal Home Show and get tickets, visit the official Ideal Home Show website.